What drives me to want to use dialogue in non-fiction writing project? One year, two months and three days late I finally manage to post a blog about my efforts to find sources for real dialogue that can be used in non-fiction writing. 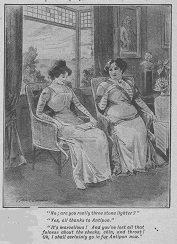 Action novels and deliciously trashy domestic stories have lots of dialogue that enables the author to impart information, convey emotions and add pace to their story. Although my story is about real people the MA course I am taking is called Narrative Non-Fiction Writing; using literary and creative writing techniques to tell a non-fiction narrative. I hope that turning some statements that the van Haecken family have given to form the few remaining legal documents will help add lightness to the relentless factual content of my non-fiction writing; showing and not telling of my story. In the beginning of my search for dialogue I looked at fictional writers to understand how dialogue works, even if the characters and dialogue are a creation, to see how dialogue added to the readers experience. I feel frustrated that I will never be able to hear recordings of the van Haecken family’s Flemish accent forming English words, or to discover any repeated phrasing in their speech patterns or written in family letters giving me an insight into their characters and relationships. I admire the way Agatha Christie created of speech patterns for her famous fictional French-speaking Belgium detective Hercule Poirot’s and his very English sidekick Hastings to enhance their characters. Hastings replies in a straight forward, no nonsense 1930’s male public school / military English manner. Agatha Christie gives Poirot a flowery sprinkling of French words and syntax consistent with him being native of French-speaking Brussels and a bit of a fussy man. These two men’s characters and attitudes to life shine through their conversation. But they are fictional characters and my protagonists are real, even if a forgotten family. For non-fiction inspiration I read Kate Summerscale’s book, The Suspicions of Mr Whicher, a pacey anaylsis of a British murder of a child in 1860, full of dialogue taken from police statements and court recordings and newspapers. Also Damn His Blood and The Weather Experiment by Peter Moore amongst other writers. The dialogue in these narrative non-fiction stories added a human touch to difficult stories while still being totally factual. One of the unique linguistic features in the van Haecken family’s home in South Netherlands (Belgium) history is the intermingling of the French, Flemish and Dutch languages that individually take prominence in certain regions and yet need to be understood by the majority. Unlike Brussels in the south that had been occupied by the French at certain times in the regions history, the van Haecken home, Antwerp, is in the north close to the border of Holland which meant they continued to speak Flemish with less imposition of French in their everyday lives. A Belgium business colleague explained that the Dutch language and Belgium’s northern Flemish was basically the same and can be understood by each other even though both Dutch and the Flemish still different, identifiable languages. The trouble with the Flemish spoken in Antwerp is that is sounds like ‘a very bad case of Dutch Glaswegian, so difficult for anyone to understand accept other Dutch Glaswegians’. The van Haecken family would have been able to speak more than just Flemish at home. They would have knowledge of French used for officialdom in Antwerp and Latin for the church, educational and artistic texts they consulted for their painting. They probably were conversant to some degree in English too, before coming to London in 1720. Apart from the previous centuries trading with England that gave rise to the demand for English/ Dutch / Flemish dictionaries, Antwerp had strong links with Britain cemented during the War of succession of Belgium in 1701 that saw the British, Dutch and Holy Roman Empire pitted against the French resulting in the Treaty of Utrecht signed in 1714. Conversation with with Roger van der Leyen in 2005 as he showed me Joseph van Aken’s Antwerp. As part of the Ilkley literary festival, I attended a Fiction writing class run by the author and critic Michael Arditti. Although the emphasis was on fiction, there were still useful ideas and exercises that can be applied to family history writing. Michael emphasised how lonely a writer’s life can be, and the importance of belonging to a supportive group [such as our own] , with people of similar aims and experience with whom you can workshop pieces and share ideas. In his opinion, this was at least as important [if not more so] than going on courses which tend to be expensive and are not always helpful. We tried several writing exercises, which were worked on and developed over the course of the session. In the first, we were asked to write about a recent event that shocked or moved us. Then we were invited to imagine this same event but telling it from another person’s point of view. This is a useful exercise for WFH writers, as it is something we are often having to imagine. Michael stressed the importance of building up a character in detail, not just what they looked like but their clothes, tastes, voice, habits and interests, etc. This is also key for WFH authors who are trying to make their ancestors appear vibrant and interesting. Any details about their personalities from many different sources such as letters, photos, personal memories etc help to make them more ‘real’ and convincing. He gave us a Character Outline form which covered about 30 different details, ranging from their physical features to their sins, virtues and obsessions. He said it was important not to judge your characters , and to remember that they can change and develop. We were also exhorted to ‘kill your darlings!’ – meaning editing out your favourite parts if you find they do not work or fit properly. This is where someone else [a friendly critic or a critical friend] can help by reading your piece and offering constructive editorial advice. The last exercise was to cut down the original piece to 100 words. Drastic – but sometimes we need to remember that ‘less is more’. Finally, Michael urged us to keep writing! I also attended a talk given by Michael Morpurgo at the Isle of Wight Literary festival [yes, it’s that Lit. Fest. time of year] which was very lively and entertaining. He summarised a good approach to novel writing as, ‘Make them laugh, make them cry – and keep them guessing.’ Good advice for us WFH writers too! James and Edith Harper [my ‘lost’ great -grandparents] at their daughter Florence’s wedding, in 1924. If you thought parking tickets were a relatively new invention, think again, the ever interesting Huddersfield Chronicle has turned up a story about John Arthur Liversedge, my great-great grandfather that would be familiar to many a tradesman today. When my great-grandfather Alfred John Liversedge was born in 1854 his family lived in Huddersfield where his father, John Arthur Liversedge, was a tailor and woollen draper. By 1861 they had moved to neighbouring Halifax but by 1868 they were back in Huddersfield where his father’s main occupation was now carrier. Running out of their High Street home he acted as the agent for Sutton and Co, Carriers and Shippers, although for a short time he also continued trading as a woollen draper. carts and lurries being allowed to stand in High-street on both sides, blocking up the windows of persons residing there, and causing an obstruction. The parties had been twice cautioned, but still persisted in saying he had a right to put the cart there as it was outside his own door”. 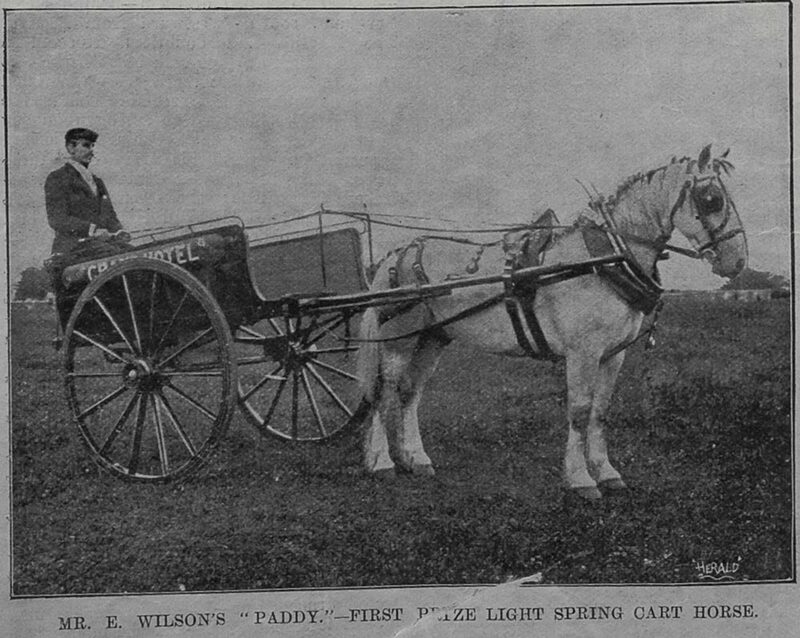 Police-constable Wilson stated that, “on Friday, he watched the cart from twenty minutes to twelve until twelve o’clock. The defendant said he had a right to let his cart stand near his own door”. The officer continued to watch the cart until two o’clock. complaints from any party. He had left the cart in no place except before his own windows. He was obliged to have the cart in readiness to receive and distribute parcels. The street was 15 yards wide, and the conveyance was not four feet wide”. – Inspector Townend stated that there were nine or ten lurries in the street when he cautioned Liversedge; and all the parties claimed a right, as well as the defendant, to leave their carts in the street. – The Bench dismissed the case on payment of expenses. There does not seem to have been a repeated of the offence so perhaps having made an example of my great-great grandfather the traffic in High Street was not further obstructed. Sutton Carriers themselves have an interesting future being established by William Richard Sutton (1833-1900) in 1861. 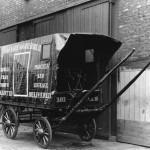 He noted that the Royal Mail could carry letters from door to door, but they did not carry parcels; instead the sender had to arrange for delivery to a railway station, goods freight to a station near the destination, and then make separate arrangements for delivery to the final destination. Sutton Carriers would take care of all those stages. The railway companies obstructed this and Sutton took them to court with a case that lasted over seven years; eventually the House of Lords ruled to break the railway companies’ monopoly on pricing and allowed him to deliver packages door-to-door. At his death in 1900 his business had grown to 600 branches. He left almost all of his considerable wealth to create philanthropic trusts for housing of the poor leading to The Sutton Model Dwellings Trust (now known as Affinity Sutton) which continues to provide housing today. 1855 Mrs. Gaskell North & South, Great loaded lurries blocked up the not over-wide thoroughfares. We recently visited the Somme area for the first time. My husband’s maternal grandfather was killed there during the First World War and as the centenary of his death approaches, it felt appropriate to see where he is buried and pay our respects. In a sense he was fortunate in that he has a named resting place. We also visited the vast Thiepval monument to the missing of the Somme, over 72000 soldiers who have no known grave. Designed by Lutyens and opened in 1932, it is an enormous, dignified memorial built in brick and stone on which the names of the missing are inscribed on the supporting piers. The sheer scale of the edifice helps one to appreciate the magnitude of the losses, and that is only one of many battlefields. Numerous smaller military cemeteries along the roadsides record other assaults and engagements, often involving soldiers belonging to regiments from particular parts of the country or across the then empire.The War Graves Commission ensures that these memorials are all carefully maintained , and books kept on the sites enable the visitor to locate an individual resting place. 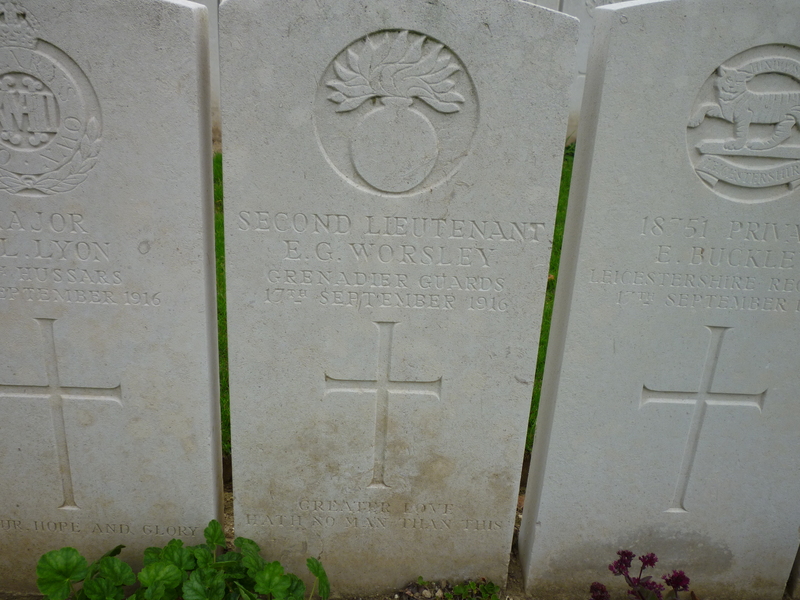 Thus we found Evelyn Worsley’s grave in the military cemetery at Corbie, near Albert. He was a schoolmaster, aged 31, married with two young daughters. He joined up in 1916, and was in France for just a few weeks before he was wounded in action and taken to a military hospital where he died. His younger daughter[ my husband’s mother] was only 2 , and so never knew her father. When visiting the cemeteries you keep reminding yourself that each grave represents a similar family story . We also went to see the recently created museum devoted to Wilfred Owen, at Ors. Called The Forester’s House, it is built over the cellar of the small rural house where Owen spent his last days with his platoon, and from where he wrote his final letter to his mother. The building is white and sculptural in form, almost in the shape of a child’s toy house with an ‘open book’ shaped roof. There are semi-circular ramps up to the main part of the structure which contains an auditorium where you can sit and see Owen’s poems projected on the darkened walls within, and hear them read on a recording by Kenneth Branagh. You may also go down to see the small cellar below. The full poignancy of the visit is appreciated when you realise that Owen [aged 25] was killed only seven days before the armistice. Over the next few years there will be many anniversaries marking the centenaries of the ‘milestone’ battles of the Great War. If you are involved in writing family history, it is unlikely that your own family was not touched in some way by those tumultuous years. A visit to the battlefield sites and memorials helps to put the personal experiences into a wider context. 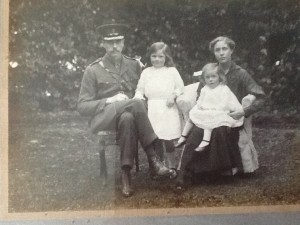 After the photograph of the Slaughter family taken on the steps of the loggia at White Ness ca. 1906, as far as I know they were never together again – at least, there is no extant group photo of them from a later date. Mihill [Mac] and Connie were married in 1906,and in the autumn of that year Mac’s battallion went out to Egypt en route for India, where Connie joined him in Amballa. By the autumn of 1909 both Connie and their infant son were dead. Mac served briefly as ADC to the Governor of Ceylon in 1911, and then may have returned to India or Egypt before war broke out. Arthur was at Cambridge from 1904 -8, where he read Law, and then worked as a trainee solicitor, though always half-heartedly as his real love at Cambridge was for rowing. He must also have joined the territorials as he was called up very early in the war and embarked for Egypt with his regiment in September 1914. Olive married John Brodie Sanders, a 27 year old Army captain , in February 1913, and they were both out in Egypt the following year. Above is a photograph of her in her elaborate Edwardian wedding gown, but sadly there are no pictures of her with her husband on that occasion. Perhaps she destroyed these when the marriage ended in divorce. They had no children. In London in 1915 the city’s legal and banking businesses were much reduced because of hostilities. Several of the staff of Slaughter and May had joined up. Nationally, all resources were geared up to contribute to the war effort. Dealings with assets abroad were severely restricted. Conscription was brought in in 1916 for all men under 50 not involved in essential war work. Slaughter was appointed to the Royal Commission on sugar supplies, no doubt largely due to his extensive business experience and long association with the Home and Colonial Stores. In 1914 Britain had the largest sugar consumption in the world, per head of population, and all of it was imported – much of it from Germany and Austro-Hungary. With these two sources cut off by the war, other supplies had to be found with the utmost urgency. Sugar was vital to brewing, as well as for commercial and domestic baking and sweet-making. It was also crucially important to keep the troops supplied with high energy foods in their rations. The Commission was given the authority to control sugar imports and was able to maintain the supply at pre-war costs until the end of 1915. Nevertheless, the cost of supplying sugar rose because the new sources were much farther away, such as the Far East or the West Indies and transportation was more hazardous and expensive. By 1916 supplies were much reduced and rationing was brought in. Slaughter’s efforts with the Sugar Commission were rewarded when he received a knighthood in the King’s Birthday Honours list of 1915 for ‘valuable assistance to the government.’ But sadly he was not to live much longer. In 1916 he was diagnosed with prostate cancer which soon spread to his liver. By Christmas he was gravely ill although he continued to concern himself with his business affairs until February 1917. By the end of that month it was clear that he was dying. William died after a stroke on March 10th 1917, shortly before his 60th birthday, and he was buried at Kensal Green Cemetery on 13th March. Among the mourners were his widow, Hester Mary, his eldest son, Captain Mihill Slaughter, his daughter, Olive Sanders, his youngest son, Edward , and his two sisters, Elizabeth and Mary. There was also a memorial service for William held at St James Piccadilly on the afternoon of the same day. Many well-known associates from the city and the law attended, including Lord Beaverbrook and Sir Thomas Lipton. In a letter to The Times on the subject of Slaughter’s death, Sir George Touche wrote, ‘There was no man in the city whose advice was valued more on any complicated question of law and finance. Ten minutes consultation with him was worth more than an hour with most men.’ Touche also wrote about how much he valued their friendship. Arthur was unable to attend the funeral because he was still with the army in Egypt at the time of his father’s death, and no letters survive to tell us how he reacted the the news. In fact, I do not think he returned to England until after the war ended and he was demobbed in the autumn of 1919. The world in general, and his world in particular, had changed utterly. He travelled home to be reunited with his pregnant fiancee[who returned from Egypt separately] – to an uncertain reception by his family, his father dead, no job and an insecure future. It was a far cry from that sunny day on the steps at White Ness. During the early 1980s, my mother saw an advertisement in the Times requesting any descendants of William Capel Slaughter to contact a box number. This my mother duly did, and through subsequent enquiries discovered that her grandfather had had an affair with a governess after the death of his first wife and that a son – Charles Slaughter – had been born as a result of this liason in the 1890s. My mother was given to understand that, on her marriage to William in 1898, Hester Mary Bruce had insisted that the baby took the name of the doctor who had delivered him rather than the name of Slaughter, so he became Charles Leslie. It is difficult to discover the facts about these events, but there is a tantalising detail in William May’s diary entry for 23rd August 1895 in which he describes how William Slaughter came up to London from Devon en route for Switzerland where he was going on holiday with his children at Pontresina. 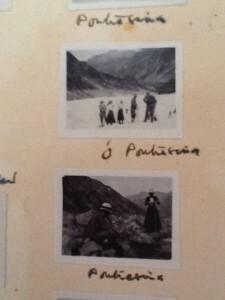 [There are some photos of the family at the resort in my grandfather’s album]. 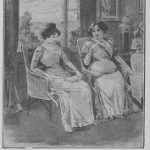 May writes : [dined] ‘with Slaughter and Madame la Franc, alias Carlotta at the Cafe Royal…. very nice dinner of a recherche character and some excellent champagne Perinet fils of 1874.” Is Madame la Franc a code name for William Slaughter’s mistress, Carlotta or Charlotte? It sounds as though May knew about William’s affair, and they obviously all enjoyed socialising. There is also the 1891 census record of a Julia [surname indecipherable], a Swiss subject from Berne, and governess in the household of George May ,aged 33, who was a solicitor and partner with Slaughter and May. My mother was discouraged from making further contact with her grandfather’s other family, although she would have liked to have got to know them.It seems they had put the advertisement in the paper for legal reasons, not really expecting any response and not keen to communicate further with any of William Slaughter’s direct descendants. There are difficulties in researching illegitimate children, especially after so many years. Names are changed, family members move or die. Sometimes people do not wish to rake over old arguments or unhappy periods in their lives. However, it would have been interesting to find out about Charles’ mother, to learn about his childhood and how he remembered his father, William – the grandfather whom my mother never knew – and who, I believe, always provided generously for his ‘other’ family. 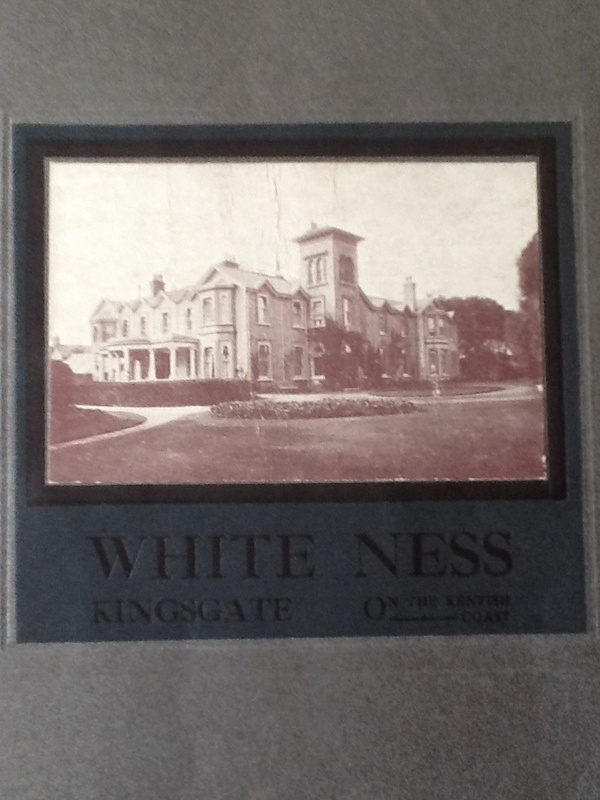 A photo of Whiteness ca 1915 -20. The loggia where the family photo of ca 1906 was taken is on the left. William May’s background was very different from William Slaughter’s. Born in 1863, May was from a professional, landowning family in Berkshire. His father was a surgeon in Reading, as had been his grandfather. William was born in the family home at Caversham, a mansion set in large grounds by the Thames. He was educated at Charterhouse and New College,Oxford, where he read classics and modern history. Whereas William Slaughter left little personal information about his life, May regularly kept a diary for many years. He describes a comfortable, rural family upbringing. Much time was spent shooting, riding, boating on the Thames, playing cricket and tennis with family and friends, and going for hearty walks. He was keen on boats, and later kept a yacht. He loved music, playing the piano and cello, and enjoyed going to the opera and theatre. After leaving university he decided to train as a solicitor and was articled at Ashworth, Morris and Crisp where he met William Slaughter. May took his final law examinations in early 1888 and qualified as a solicitor in July that year. In spite of the differences in their family backgrounds and education, May and Slaughter must have got on well for by the end of that year they had decided to go into partnership together.William Slaughter had already made a name for himself in the city and was gaining a number of successful clients. He must have felt that he would benefit from having May as a partner, both professionally and socially. In the last decade of the 19th century until the start of World War 1, the legal profession in London was flourishing.The legal reforms of the 1850s onwards resulted in raising the standards of the profession and the social standing of lawyers. 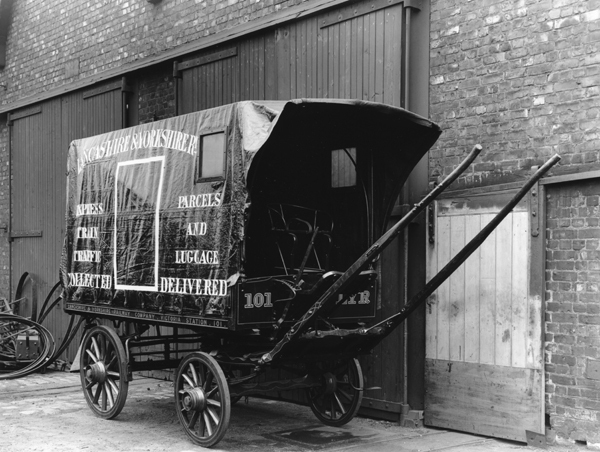 Better communications, in the form of improved postal services and the expanding railway system meant that business could be dealt with more speedily and efficiently.It was also a period of relative financial security. England was still on the gold standard, inflation was low, while salaries, expenses and taxation were stable. Business and trade were expanding all over the globe – mining and railways were being developed worldwide . New companies were being formed to facilitate these, and the fees for providing legal work for setting up such companies were very profitable. The new firm of Slaughter and May was soon actively conducting business, initially with about thirty clients. Before long it was decided that they needed new premises, so they bought the leasehold on a block at 18 Austin Friars, in the city. The old buildings were demolished, and replaced by a new one designed by the architect Frank Hay Roberts. Opened in 1892, it remained the home of the firm until 1968. But while the business partnership was flourishing, the personal lives of the founders were following very different paths.In 1890, William Slaughter’s wife, Ida, had died of typhoid leaving him a widower aged 33, with three young children. His unmarried sister, Mary, moved in to care for the family and manage the household. In 1895, William May had bought a large property called Ashburton House at Send, near Woking which had frontage on the river Wey, as well as tennis courts and several acres of land. William and Mary Slaughter’s sister, Elizabeth and her husband Reginald Drew, lived nearby and there were frequent visits between the families. When the children were older, Slaughter sometimes brought them over for a day out at Ashburton House, and they would play tennis or go boating on the river. William Slaughter bought himself a country estate in 1898, when he purchased Whiteness, at North Foreland near Broadstairs. 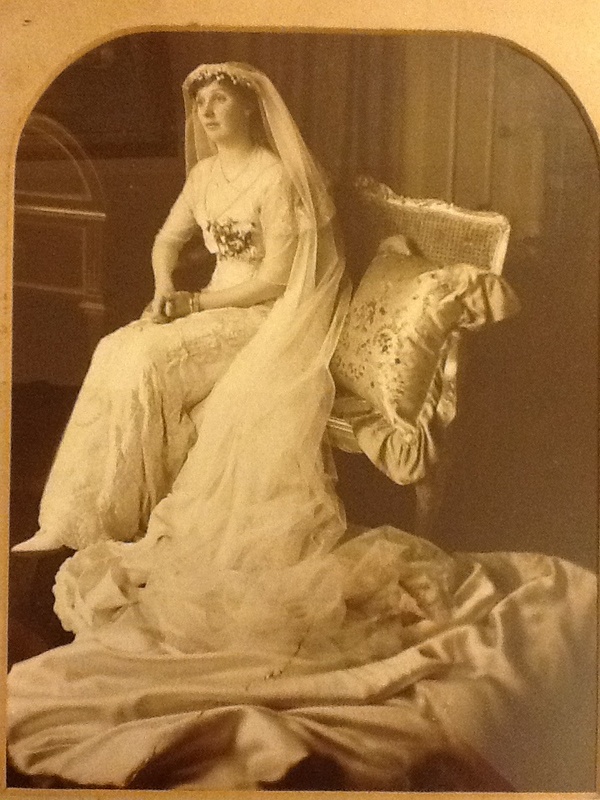 Marrying for the second time in 1899, he renamed the house Bruce Lodge, after his new wife, Hester Mary Duff Bruce. She was the daughter of William Duff Bruce, an official at the Port of Calcutta, and a cousin of Stanley [ later Viscount] Bruce of Melbourne. 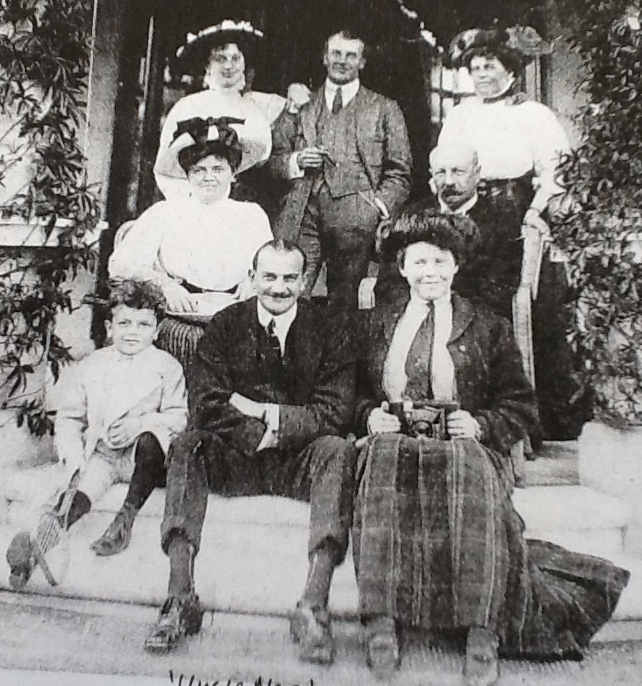 Slaughter had been the main adviser to the Duff Bruce estate after the death of Stanley’s father in 1901. So far, so conventional, but at some point during the years between the death of his first wife and his marriage to Hester, William had embarked upon an affair with a French governess, which resulted in the birth of an illegitimate son. This had been a well-kept family secret for many years, no doubt being considered not quite the done thing for a respected member of the legal profession – though not unknown in late Victorian times. How my mother discovered about the affair will have to wait until another chapter. The lettering from a Home and Colonial shop front, on display at Castle Drogo, and the coat of arms outside the inn at Drewsteignton . In November 1882, William Slaughter’s sister Elizabeth married Reginald Drew ,older brother of Julius Drew,the co-founder of The Home and Colonial Stores which was later to become one of the most flourishing food retailing companies of that era. 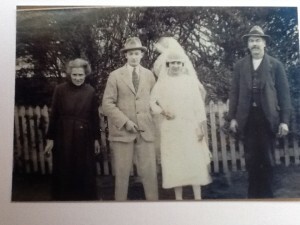 My mother remembers her great aunt Lizzie and her husband [known as Reggie]. Though described in the marriage settlement as a retired Naval Officer, Reggie later became a tea dealer and was involved in the family business. Far less dynamic and businesslike than his younger brother, my mother remembers Reggie as a charming man though with the reputation in the family as ‘something of a ne’er do well’ – no doubt in comparison with his very successful brother.When the Home and Colonial Stores was launched in 1888, William Slaughter was its chairman and remained so until he died in 1917. The Drew family had connections with tea importers and Julius had spent part of his early career in China as a tea buyer. When he returned, he set up as a tea merchant in Liverpool. The drinking of tea nationally had become ever more popular during the second half of the 19th century, and consumption per capita grew enormously making it a very profitable business. 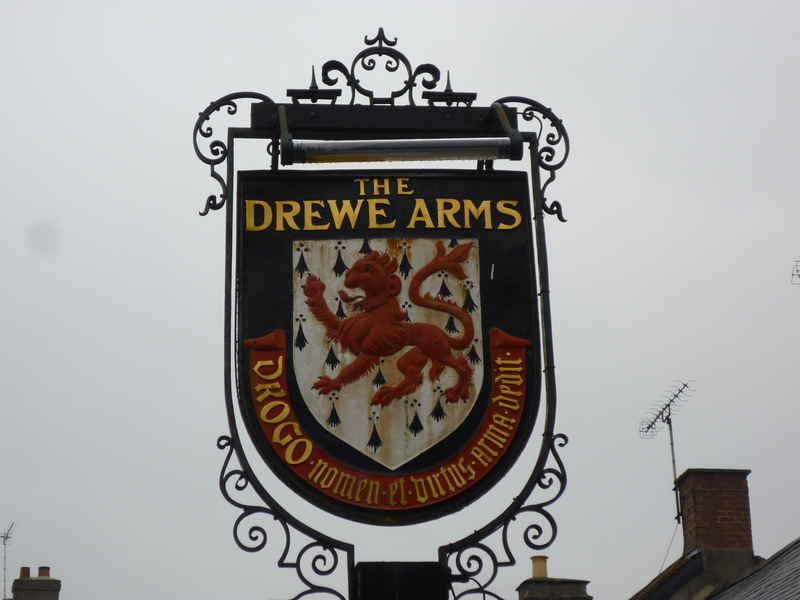 Drew went into partnership with a Liverpool butcher named John Musker, who had a wide knowledge of dealing in dairy products as well as meat. He was also astute in choosing suitable locations for the new shops. In 1888 there were 14 establishments, the main office being in the Edgware Road. By 1914 there were over 600 shops. 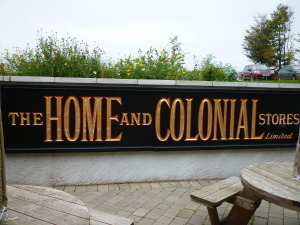 The Home and Colonial brand, including the iconic black and gold lettering was meant to inspire confidence in the shopper and to imply the quality of goods and services on offer. Slaughter was closely involved in the expansion of this successful business from the start and the company was an important client of his law firm. Julius Drew retired from business, while still under 40, and devoted himself to buying large rural properties and living the life of a country gentleman. 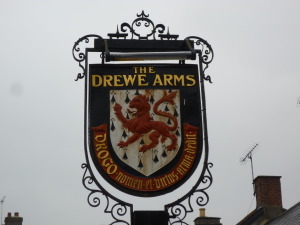 He changed his name by deed poll to Drewe, hoping to establish a connection with Norman ancestry. In 1910 he purchased an estate at Drewsteignton in Devon where he commissioned the architect Lutyens to build him a castle. Castle Drogo, a vast imposing granite structure was never completed because of the advent of the first World War. Now belonging to the National Trust the castle and gardens are open to visitors who can enjoy the commanding views over the Teign valley from the site. When Julius Drewe retired early from his active business ventures to enjoy the fruits of his labours, William Slaughter’s legal career was rapidly moving forwards. While at Ashworth, Morris and Crisp he had met a young trainee solicitor, William May who qualified in 1888. By the end of that year they had decided to go into business together. A joint bank account in their names was opened on the 1st January 1889, the official date of the beginning of their very successful partnership. My grandfather, Arthur Slaughter was in the 5th [territorial] Battalion of the Manchester Regiment. On September 10th 1914 they sailed for Egypt from Southampton on board the Caledonia, arriving in Alexandria on September 25th.They were quartered in the Mustapha barracks where they were kitted out for the tropics. By October, they had started training. On May 6th 1915 the battalion landed at Gallipoli. They moved up to the front line trenches on the 12th under heavy artillery and machine- gun fire. Relieved on the 21st May, they went back to the beaches, still under fire. On the 26th May, the battalion became part of the 42nd division and moved back up to the flooded front trenches, working on maintaining and completing the trench line. On June 4th , they attacked the main Turkish trenches. Although the initial attack was successful, the troops were withdrawn as other supporting units had not obtained their objectives. The battalion managed to hold their position in spite of fierce Turkish counter attacks, but on July 5th the battalion returned to their trenches. These are the bare bones of the part played by the 5th Manchesters in Gallipoli. There are only two family letters surviving from this period. The first is a brief note from Arthur written to his father on 26th May from the Carlton Hotel,Bulkeley, near Alexandria, just prior to embarkation. A more detailed and personal account survives in a letter from Olive [Arthur’s sister] who was living near Alexandria, and was married to Colonel John Sanders. Her letter to her father ,William Slaughter, is dated June 20th 1915. I have been to the hospitals today to see various officers from the 5th and they have given me all news of Arthur, he arrived at the Dardanelles June 3rd late at night and went straight into action June 4th when the regiment was so terribly cut up, he was the only officer left in his ‘B’ company so he had to lead them I am told he did so most splendidly, and at the end when they had to do a final rush, a sergeant called out “are there any officers left” and Arthur cheerily answered “yes” so he and the sergeant led ‘B’ company and took a Turkish trench but were given the order to retreat early the next morning and this man told me this afternoon the last he saw of Arthur was fairly [here there is a gap] back anyway he is alright and my Johnnie too.I took these two boys Tim Brown, who was shot in the right eye, and Ainscough, who was shot in the foot, out for a drive this afternoon, they were so cheery and said”You don’t know how ripping it is to see you again and to get out of the hospital” Goodness knows how the regiment will carry on, as there is only the Colonel, Johnnie, Major Cronshaw, Capt. 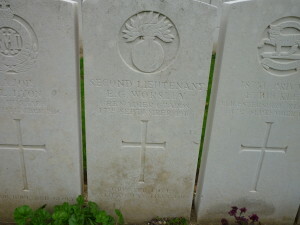 Woods and Capt Bryham and Arthur left, it’s all too awful and one dare not think about it. Poor Captain Jackson was killed June 4th. I do feel so sorry for the wife and the poor wee babe who is to arrive at the beginning of September . I have been down to headquarters and found an old friend in Johnnie’s Corporal who gets all the list of killed and wounded at once, and he has promised to telephone me directly anything comes through. Anyway the whole division has been brought out of the firing line for a fortnight. It’s lovely here with a cool breeze blowing. I feel quite alright and am thankful I came out as one gets all the news at once,and can help the poor souls who are wounded, any old papers you can spare will be most gratefully received. I have hired a Victoria thing for a month, and shall spend my time in taking these boys out, I think in about a month they are going to be sent to England as the one with the bad eye will be three months before he is fit, and then they are afraid he may lose the sight; it is sad he is only about 20, his brother has been killed. Well the mail is going. I know you will be delighted to hear about Arthur. I do feel so proud of him. Best love to you all, and would you send this on to the Aunts as I have not time to catch the mail to them. Arthur, though physically unharmed was psychologically much damaged by his experiences. For the rest of his life he suffered from neurasthenia and chronic headaches. As a result of his condition he was retired from active service and from 23rd July 1915 was retained in Egypt for duty at the P.O.W. camp in Maadi where he remained for the duration of the war. 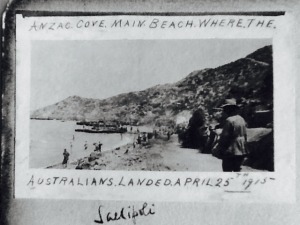 This no doubt saved his life, for after the evacuation of Gallipoli in January 1916 his battalion arrived back in Egypt until March 1917 when it was transferred to France to play its part on the Western Front. to try and kick-start my research into their father’s life I allowed myself to distracted by one. To call it a recipe book is rather misleading as the pages have long since detached themselves from the cover. It was originally a hard back note book, and first belonged to their mother, Charlotte Liversedge (1852-1938). The recipes written on the original pages include ones to stop a leak on a cask and to waterproof a coat alongside the more conventional Tapioca Cream, Everton Toffee and Mushroom Ketchup. One is described as “Hydropathic Pudding” with the cryptic comment in brackets “where is not allowed”; actually the recipe seems similar to Summer Pudding but made with any fruit. A recipe for cough mixture includes 4 poppy heads crushed, 2 oz Iceland Moss, 4 spoonfuls pearl barley and a little white sugar. All boiled in five pints of water reduced to three and then strained. You can still buy a cough syrup containing Iceland Moss but not, as far as I can find, Poppy heads. A recipe for furniture polish containing turpentine, linseed oil, methylated spirit, vinegar and antimony is to be put in a bottle labelled poison. There are numerous loose cuttings from newspapers, mostly recipes but some longer articles. The earliest dated is from 1898 and has useful notes for ladies on matters such as cleaning glass globes and boiling rice. One from Person’s Weekly, April 24 1902, consists of a whole page advert for Kutnow’s Powder for rheumatism, neuralgia and gout. A cutting from Forget-Me-Not, a pictorial journal for ladies gives us Sarah Bernhart’s Beauty Secrets. Unchecked Obesity”, subtitled “the question of waist fashion” which is a lightly disguised advert for Antipon, the world famous remedy for the permanent cure of obesity. I have looked this up and apparently it contained citric acid, red food colouring, water and alcohol and sold for 20 times the cost of its ingredients..
A later cutting talks about home rations and war-time gardening for the First World War. Another similar recipe book I have gives recipes for carrot jam and using dried eggs from the second war. Between the pages are also pressed leaves and ferns, letters and cards. One letter dated 1921 is from Charlotte’s son and daughter –in-law in New Zealand since 1914 and describes their move to a new home and how their children are settling down. Then we come almost up to date as the book changes hands from mother to daughters, my great aunts, Ethel (1886-1977) and Gladys (1889-1982). The handwriting on the loose leaves changes and there is a cutting from the Radio Times of June 1958, Cookery Club winning entries chosen by Marguerite Patten. As well as the cuttings there are now colourful promotional leaflets for Sainsbury’s chicken, St Michael’s cheese and Danish Bacon. Finally possibly the most recent item, a postcard from me, sent when I was at guide camp near Windsor in 1965.